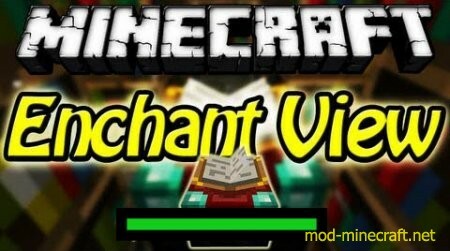 EnchantView Mod is a very convinient mod which gives you oppotunity to see what the enchantment table will give you BEFORE you click on the enchantment. With this mod installed, no more wasting levels in some situation that you wasted 30 levels on nothing but Unbreaking III. Just move your mouse over the enchantment box and a little box will pop up telling you what item you will get if you click it.